In her first major television role, ARIA and ACCTA-winner, singer, songwriter & actress JESSICA MAUBOY, will star in THE SECRET DAUGHTER, a contemporary family drama produced by SCREENTIME for the SEVEN NETWORK. A new Australian television drama that is about finding the family you really belong to and finding true love in an ever more complicated world. THE SECRET DAUGHTER is a contemporary, modern show that explores the world of the have and the have-nots and what happens when they collide. 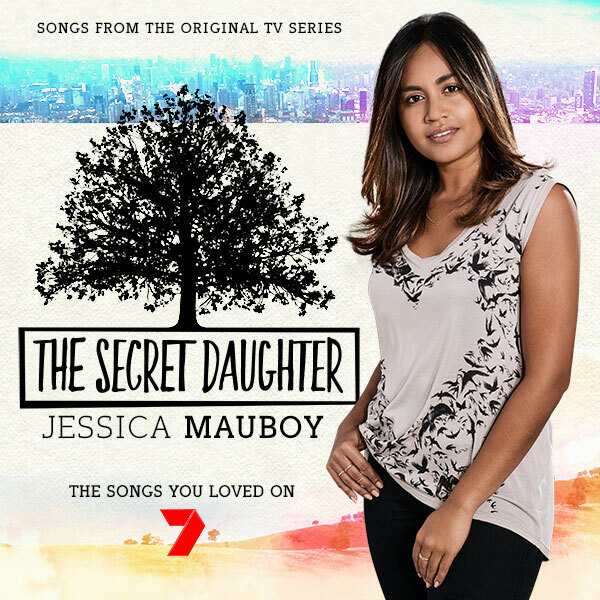 To compliment the forthcoming TV series, JESSICA MAUBOY has delivered a truly amazing 17 track album featuring five original tracks (Risk It, Stuck In The Middle, Home To Me, Closer, Something About You) along with her interpretations of hits of today and the past including Flame Trees (Cold Chisel), Photograph (Ed Sheeran), Big Girls Cry (Sia), It Must Have Been Love (Roxette), Better Be Home Soon (Crowded House) to name a few.